The latest round of public hearings took place from 9 to 19 May. This round was addressing broader issues. The next round, in July, will be tackling individual areas of West Oxfordshire, and short-term housing supply. Over a dozen EPIC supporters arrived in time for the opening session on 9 May. We were well equipped with placards and made our presence felt. We made the point to the Planning Inspector that EPIC had been denied the opportunity to speak (for obscure administrative reasons). The Inspector (Malcolm Rivett) seemed to take this on board, and we are waiting to see if EPIC will be allowed to speak at the second round of hearings. Fortunately, however, two EPIC supporters were allowed to speak as individual residents, and did so at two of the sessions. A small number of EPIC supporters were present as observers throughout the proceedings. The hearings exposed a number of serious flaws in West Oxfordshire District Council’s Local Plan, not just in relation to Eynsham, but across the whole district. 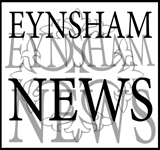 You may have seen the tweet from Eynsham Parish Council chair Gordon Beach, saying that WODC had finally admitted that the proposed ‘Garden Village’ will not be separate from Eynsham. chaos in WODC over how to address the immediate requirement for five-year housing supply. The Inspector was clear that a further consultation will be required in the autumn, no matter what happens in the next round of hearings. This will give us a third opportunity to press home our arguments. The next round of hearings, from 11 to 27 July, will address a new set of questions from the Inpector. The most relevant session for us - on the ‘Eynsham-Woodstock Sub Area’ - will be on 18-19 July. We encourage as many of our supporters as possible to attend. EPIC will be submitting a hearing statement, and we are hoping to speak this time. If you have any points you would like us to raise, please let us know.